You hear a lot about Mongkok Dim Sum at Smith Street Food Centre. So let’s give it a shot! I go downstairs to the wet market to buy fish/seafood/meat/vegetables/etc, so then I head right upstairs to grab some food. 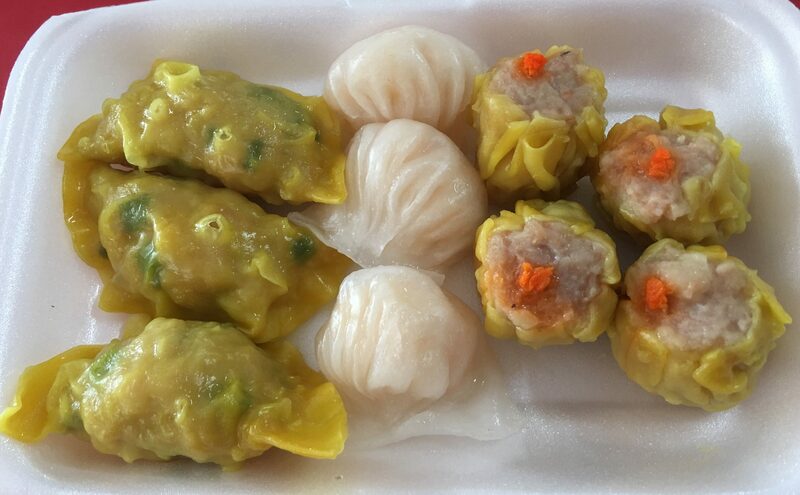 Shark Dumplings, Har Gao and Siew Mai. Honestly, quite average to me. The price is ok, but just average, both in size and taste. Good for a quick fix if you don’t want to go to a restaurant. Posted in Breakfast, Dim Sum, SingaporeTagged Chinatown, Dim Sum, Singapore, Smith StreetBookmark the permalink.